The idea of “niching down” for the blog and talking about only one thing was too scary to me. I didn’t think it would be possible. How can I just talk about one thing all the time when there are so many things that interest me? Every day I have new interests. Food. Fitness. Finances. Broadway musicals. You name it. Let me tell you, 2 years ago when I started the blog, I never thought I would be able to niche down. There were just too many wonderful topics to talk about. Besides not wanting to box myself into talking about one topic, I also felt like I wasn’t extreme enough in any one area of my life for people to want to hear from me. If I was going to talk about health and fitness, then I had better have ripped abs and drink only green smoothies. Truth was I was struggling in my own health and trying to find balance with my own diet. If I was going to preach minimalism, then I could only do it from a tiny house or no one would want to hear my story. Right? Can I share about finances when I’m not as wealthy as Warren Buffet? I mean, who wants to get financial advice from someone who has struggled financially for years?! Even though the blog has seen success from my financial help posts, money-making ideas and minimalism tips, it wasn’t until a recent Instagram post that I truly began to see how our personal, totally normal story could actually change the direction of my writing and incresase the impact I make with the blog. I shared this Instagram post on a whim. After paying close attention to my Instagram audience, I realized photos I shared with words on them actually performed better and got more likes. Instead of sharing just a plain old picture of Tom and I I thought about what I could do to put words in the photo. So I slapped these awesome labels on it. I wrote out a quick caption about how far we’ve come since having those labels slapped on us and then I carried on with my life. Much to my surprise, I received tons of likes and support from sharing this real life post with the Instagram world. For the first time it actually occurred to me that maybe, even in the midst of being normal, we did have something impactful to say after all. So this is how I make an impact on the world…by talking about all the ways I failed big time? Cool. I ran into a woman I have known for years because we were in a mommy and me group together about 7 years ago. She is someone who goes to my church, who I follow along with on Facebook, and has always been a person I have liked and admired. When I heard her say my name as I sat in the Target Optical center I wanted to cover my face and run. You see, that day I had shared a big guest post on Making Sense of Cents…a wildly successful financial blog. The post that went live was one of the first where I really bared my soul, admitting all of our financial failures. I did my best to hold nothing back. I literally felt physically ill when the post went live. Every time I shared it on social media, I felt like dry heaving. Sharing this story terrified me. This was pretty on-point for my 2019 goal. When I heard my name called at Target, I panicked that it might be someone who was going to talk to me…face to face…about this post. And I did not feel prepared for that. She told me she admired me sharing something that made me feel scared. That it was a topic not many people were talking about. As we chatted, I told her how I felt about “niching down.” That I often felt I would never be extreme enough for anyone to want to listen to. What she said next may very well have changed the way I view myself and my niche from here on out. She said that the thing is, most people are just somewhere in between extremes. Most people just want normal. 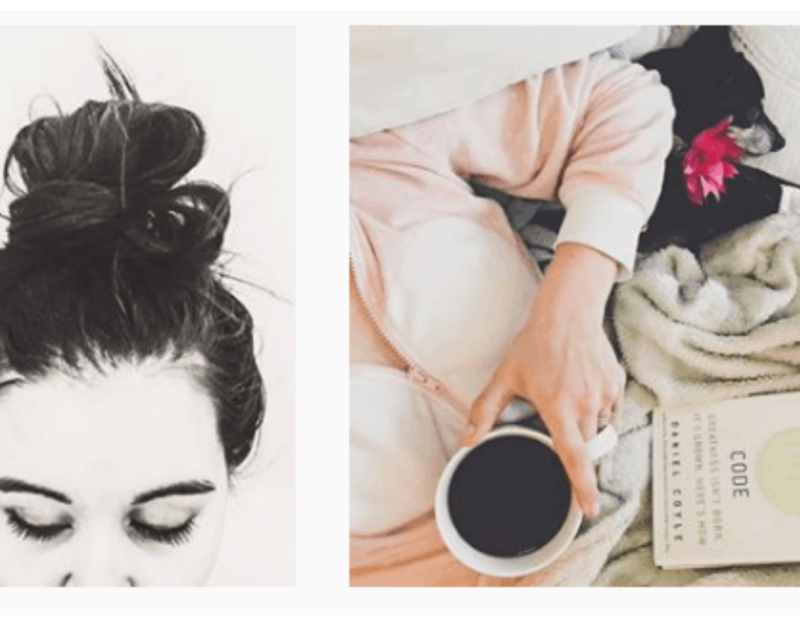 After almost 2 years of blogging, I think I’ve realized “my thing” and I’m actually accepting that I am ok with it. Sharing our “scary story” allowed me to receive hundreds of positive comments, messages and emails from people. Some of them thanked me for sharing our story. Real estate agents praised me for my honesty. Most importantly, people who were considering making the same mistakes we had were glad to have my story remind them to make a smarter financial choice. All this time I thought our normalcy would never be enough to make an impact. I couldn’t imagine how anyone would find our story unique or want to follow along on our journey. In reality, our raw normalcy was exactly what people were wanting all along. Now I see that through our mistakes, our setbacks and our struggles, we can actually make a pretty big ripple effect. So, can I niche down? Rachel Hollis uses a pebble analogy that really makes so much sense. She says, if we threw a handful of small pebbles into a body of water, we would make several small splashes. But, if we took a massive boulder and threw it into the water, we would make a bigger splash and the ripple would spread. Lately, I realized I can like a lot of different things and still “niche down.” Talking about finances and minimalism on the blog and social media doesn’t mean I never get to dance around my house listening to the “Wicked” soundtrack or make myself a green smoothie. It just means I get to keep all my little pebbles on the beach with me, and toss one giant boulder out into the world in order to leave the biggest impact that I can. I loved your post. I’ve been working on creating my own blog and this post really spoke to me. I’ve been a personal trainer for years but since having children my interests and passions have totally changed. I’ve been so trapped in feeling like I’ve had to start a fitness blog because that’s such a large part of my life but everything you just wrote about sings to my soul. I am always talking about finances and minimalism but felt who would want to hear what I have to say on the topic. But I know it’s my passion because I light up talking about it and reading about it. Thank you for your words you really pushed me in the right direction. Ohhh, I’m so glad it could inspire you a little! I felt the same way. I wrote 2 posts thinking…”well…it’s something to talk about…no one will ever read them.” They are still 2 of my most viewed and shared posts of all time. There is something that happens when you truly write from the heart. Good luck with your blog and feel free to share a link!